Dave Ramsey is a big name in the world of personal finance. He is a National best-selling author of financial books. His website www.daveramsey.com produce blogs, classes, live events and tools that will help you financially independent. His focus has been debt-management, budget, saving and retirement. I learned about Dave Ramsey from reading financial blogs online. One of his most notable work is the Total Money Makeover. 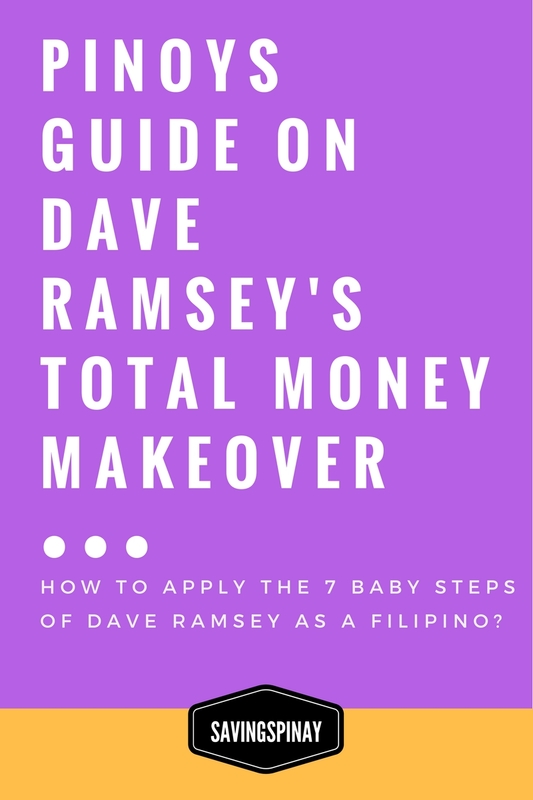 Today I thought it would be nice to give you a basic guide on how the Dave Ramsey's Total Money Makeover work and how we can apply it living in the Philippines. Dave Ramsey's Total Money Makeover is power house how-to guide for practical money management. He developed 7 Baby Steps that will enable you to get out of the financial trap. The said 7 Baby Steps are easy to practice without any additional cost or software or programming needed. You can also apply it on the spot no matter what your current financial situation is. Emergency Fund are money to be used on unexpected events in life. This includes house repairs, death in the family, medical bills, natural disaster, lost of job etc. 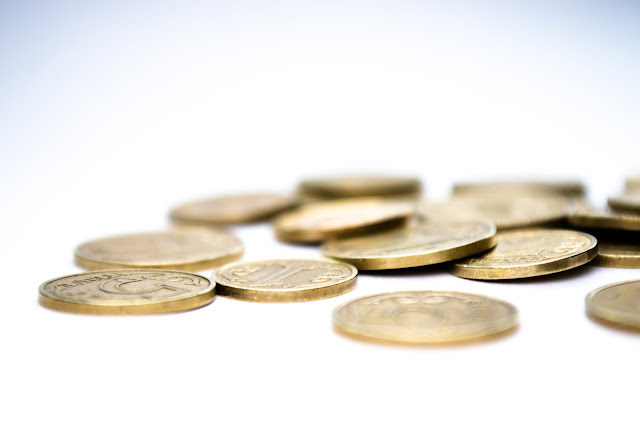 The goal of an emergency fund is to have a ready money in case of emergencies. Because you have prepared a cash reserve you can easily get out of the sudden financial worry without ruining your budget. This will also make you avoid being in debt. How to Apply this, Pinoy? Set aside one month total of your monthly income. Meaning if your income every month is 13,000pesos you need around 13,000pesos too on a separate savings account as your cash cushion. There are many ways that you start saving for your beginner emergency fund. Get rid of unnecessary expenses like cable TV, coffee on specialty cafe, movie tickets etc. 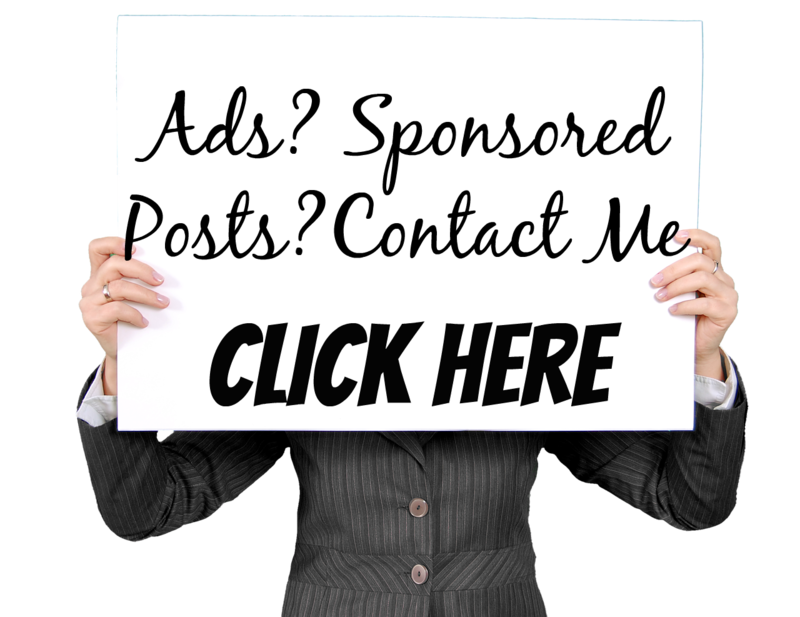 You can also try to get an extra income online or through a side-business. There is also a high chance that you can't afford to build a baby emergency fund all at once. That's why you need to learn how to save from the start. Select a fixed amount to automatically save every payday and slowly but surely you'll have money on your baby emergency fund. How To Make Money on Google Adsense - New! a. 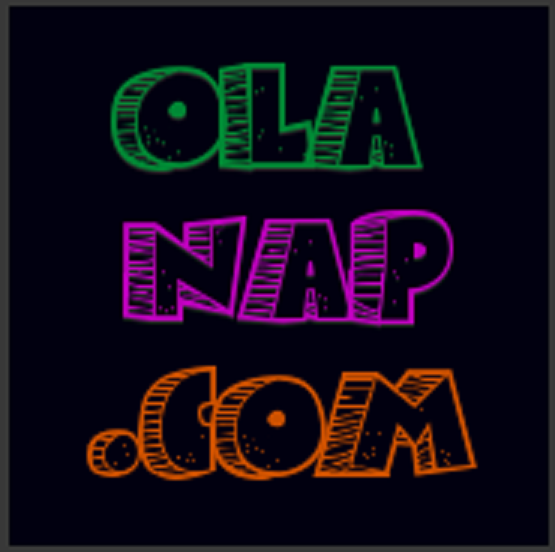 Have a list of all your debts from lowest to highest amount you need to pay. b. Write the minimum monthly payment needed next to each debt. If its a personal debt then don't be shy to talk to your creditor and asked if you could pay on monthly basis. Tell him or her how much you can only pay. Dave Ramsey's technique is to pay small and slowly but surely. c. Once the smallest debt are paid you can use the money to pay for the other debts until you're completely debt-free. We are all guilty of having utang no matter how small or big it is. From loans to credit card bills and personal debt, we keep on making the same financial mistake. Dave Ramsey's Debt Snowball is highly applicable to us Pinoy especially those who have limited source of income. All you need is to focus on paying the smallest debt with the minimum amount you can pay. Instead of hiding from your creditors why not face them with a brave heart. Talk to them nicely and ask them for an allowance. You can also discuss the payment strategy you came up. Knowing the soft spot we have as Pinoys they will surely understand. You'll feel better when you don't have any debt to think at night. Since your finances are positive now with your debts all set and done and a baby emergency fund waiting, you can now focus on building the real deal --- Your Savings. Dave Ramsey recommends 3-6 months worth of your monthly expenses to be put on your full emergency fund. Most of us use 70%-80% of our monthly income for our expenses. Triple the amount and you'll have the total money you should have in you real emergency fund. The meaning behind 3-6 Months is that experts believe that it takes 3-6 months for a person to full recover after a financial breakdown. If you have an emergency fund with you you and your family can still function for good 3-6 months until you got everything in order. Once you have paid all your utang then you can transfer the amount to your Savings Fund. You will most probably build your emergency fund in no time as long as you prioritize your savings first. Still savings fund are meant for real emergencies but you can apply the same method of saving money for your short-term goals like investing in stock market, travel, gadget and/or car. 5 Habits That Can Boost Your Savings - New! Dave Ramsey encourages everyone to save 15% of our income towards retirement. Doing this when you already have a baby emergency fund, become debt-free and manage to maintain a real savings/emergency fund is a great advice. 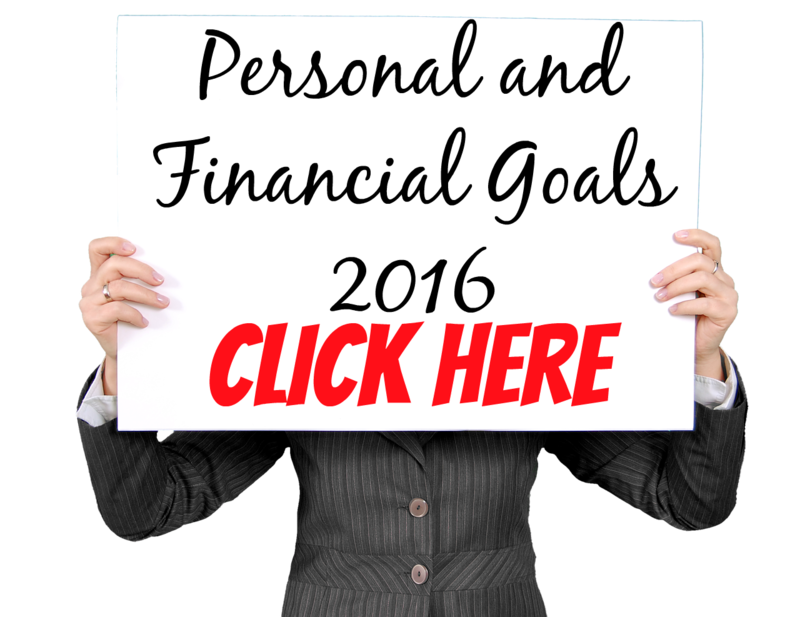 You already have good financial habits built from the past let's say year that you've done steps 1-3. Funding your retirement is important because this serves as your long-term wealth. The earlier you invest the more your money accumulate compound returns (grow by itself). There are a lot of investment vehicles you can choose from. The most important thing is for you to analyze what type of investor are you. Retirement saving is sooooo foreign in the Philippine culture. Not everyone cares to think about the future of their finances since they are very focused on the present. I believe anyone will agree to me that we keep on saying "tomorrow" for the things we ought to be doing today. So is having a retirement fund that you future self will thank you a lot. You can start by opening a mutual fund as your retirement fund. You can open one for just 5,000pesos and it acts as a saving account with higher return of income since you buy shares. Personal Equity and Retirement Account aka PERA is another big thing for money savvy Filipinos. PERA is a personal and voluntary retirement savings plan provided for those who are willing to join. This is not and will not replace the SSS and GSIS but serves as another option if you want a better savings plan. This requires a separate blog post soon. To cut the explanation short, PERA works like US's 401k Plans. The contributions allow you to have reserve money you can use on your retirement. The first four steps in Total Money Makeover focus on your personal finances... now you have to move on and turn your attention to your children and/or future kids. Preparing for your child's schooling will give a chance to give them quality life without the financial-worry. This could also avoid being in any future debt and/or passing down the debt to your children. This step depends on your age in my opinion. I, for example is only 22 years and marriage is too far from my radar. I believe I can still spare about 5-7 years before I save for my kids college fund. In the meantime I could focus this fund on let's say a Start Up Business Fund or House and Lot Fund. For Pinay Mommies reading this then I highly suggest that you do this step as early as possible. As soon as your child turns 1 year old open a savings account (even if its in your name first) and try to invest as little as 200-500pesos each month. As they turn 18 years old imagine how much money you have saved already. You can give it to him/her as a gift and let him/her realize the value of saving. This is something I'll definitely do for my future family. The final giant leap to a Total Money Makeover is paying off your home and making it your own. Nothing beats the happiness of securing your house is yours with all the legal documents and certificates. This is a good investment too since house and lot appreciates in value no matter what. This step also depends on your living status at the moment. Again for most millenial like me you're probably living still with your parents. What you could do instead is start investing in your own house and lot. We have PAG-IBIG that can loan you for that (make sure you know how the process goes). If you're currently living in a rent-to-own house then this step is a must. You can now overpay your monthly mortgage so it would be finished faster since you have already set a good financial status. It is soooo nice that Dave Ramsey ended his 7-Step Total Money Makeover in motivating us to leave a legacy. This make me remember my Top 10 Most Important Lessons in Personal Finance where I put Give Back as #1. Anyway paying it forward especially when you have done all the hard-core financial steps above is the best part of it all. Continue to build your wealth and grow your finances but never forget to give and have fun. 1. Give back what you can. 2. Give back what you afford. 3. Give back what you verified as your overflow/excess. Share the knowledge to others and be a way for others to change their financial life. You can also start volunteer works, sponsoring a child's education and giving more to the church. Learn to Give Back. No matter what your financial status in life is, you have to be able to give back. I hope you liked this post and you apply Dave Ramsey's teaching in your financial life. If this post did help you show some love by commenting below and sharing this post so others can read. Are you willing to try Dave Ramsey's Total Money Makeover? How to Apply for a Pag-IBIG Loyalty Card - New! 1 comment on "Pinoys Guide on Dave Ramsey's Total Money Makeover"